Last month the lovely people at Unibox offered to send me their new September box, and of course I said yes. 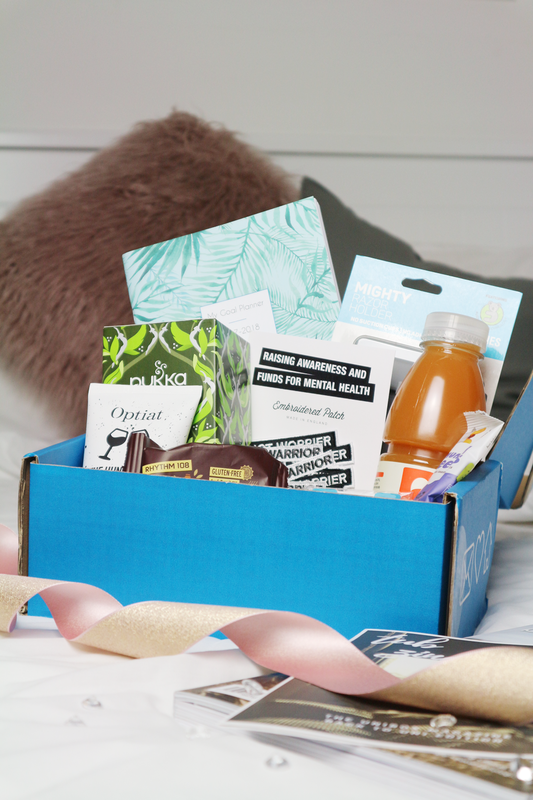 If you don’t know, Unibox are a monthly subscription box tailored for uni students. Each month they’ll deliver a little box of goodies designed for us stressed-out students to help us through the month! I’ve always been a lover of subscription boxes, and while most out there are beauty related, I love the mix of things you get in Uniboxes. Here’s a little rundown of what was in Septembers ‘back to uni’ box. My favourite item of all has to be the Monthly Goal Planner. Since being back at uni I’ve been trying to set some little weekly goals – whether that be reaching 1000 words on my essay, or getting out of bed before 9am. This little booklet is going to be SO handy on tracking all my goals for the next academic year. Another thing I love about Unibox is the snacks you get in every box! They’re always introducing me to new healthy brands. This month I got a choco-walnut brownie from Rythm108, Munchy Seeds, a Be Drink and some Pukka Supreme Matcha Green Tea which I’m sure are going to be the perfect hangover detox cures..
Other exciting items include a Warrior not Worrier Patch from Maison de Choup – love the mental health cause, an Optiat Hungover Coffee Scrub, which is very pepperminty – it smells delicious. And finally a very handy Mighty Razor holder and a Unibox Student card holder. It’s safe to say I loved last month’s box, and I can’t wait to give all the items a proper go. If you fancy giving Unibox a go, there are always 6-8 full-size items in every box, and the code BLOG5 will give you £5 off your first order! !